Hello my beautiful friends! As you know Alex and I consider Cape Town one of the top places in the world. I wish Cape Town was closer - we would visit it even more. Every time we get back, we find ourselves falling in love with this city and its magical sunsets more and more. 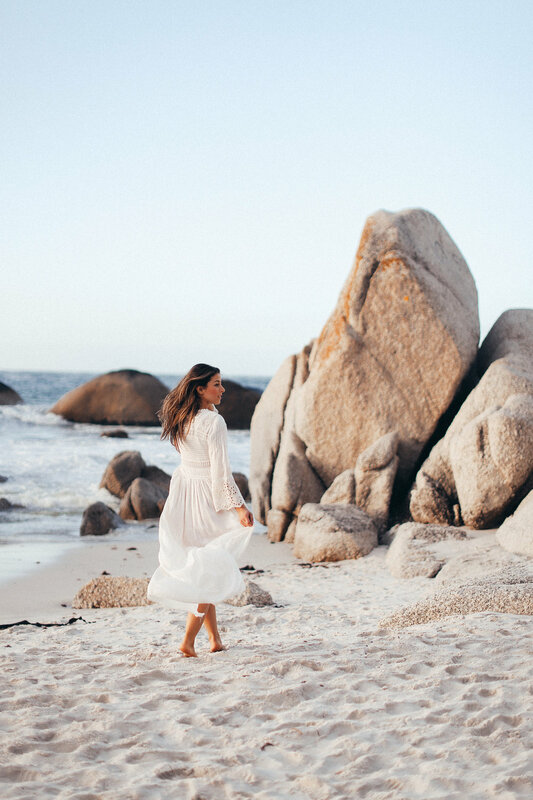 Here is a guide for your trip that consists of our absolutely favourite places we've discovered in Cape Town. It will help you make the most of your time in iconic and extremely breathtaking Cape Town. 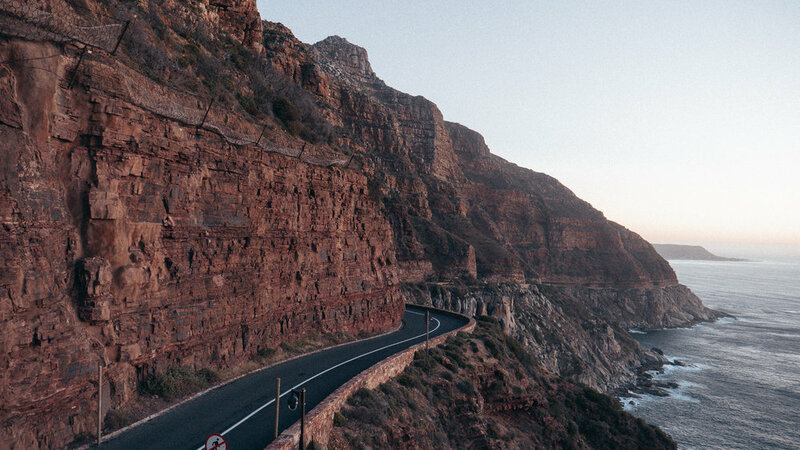 Important Note: Whenever we recommend people going to Cape Town the first thing they ask is - “Is it safe?” This is one of the questions we also asked before our first trip here and our friends who are locals have assured us it is. Three years later and Cape Town has become our ultimate annual winter destination. With close to four months spent there already, I can confidently say from my own experience is that it’s really safe, but just like with any other large city in the world you have to be smart and not go out looking for trouble. In all main and touristy areas of Cape Town such as Camps Bay, Clifton, Seapoint, Kloof St, etc., I’ve never felt unsafe. But always remember to be street smart and not be flashy with jewelry, cash, etc. 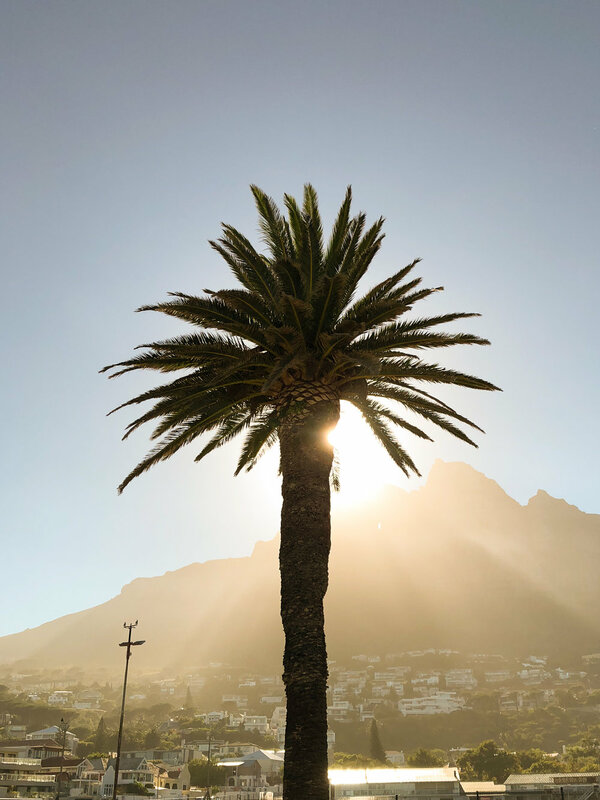 Now let’s get to our guide to one of our favorite destinations in the world - Cape Town! Important Foodie Note: For most restaurant recommendations including lunch and dinner, I highly advise you to call or reserve a table through an online booking as these are very popular restaurants. I even recommend to plan and book your restaurant week and sometimes months in advance, yes it can be that hard to get in to some places. This space is really unique, light filled and multi dimensional. It is our go to place for coffee, breakfast or lunch. Especially, the Fika which is a scandanavian pastry with cardamom or cinnamon. Loading Bay is a place committed to facilitating an ethical, conscious movement of daily habitual activities – guests are welcomed to enjoy their selection of seasonal meals whilst perusing through the curated offering of international men wears clothing, or indulge in good conversation of wellbeing and equilibrium with one of their skilled Aesop Consultants. Right beside Loading Bay is another great cafe. This is definitely the place for coffee lovers. If you are passionate about coffee, Origin is able to source the world’s finest coffee beans. We recommend visiting Origin Headquarters in De Waterkant (this is our favorite location) and get the full experience.You can meet the artisans, watch the roasting and get to taste the coffee while it’s still fresh and expressive. They also offer amazing healthy breakfast and brunch menus, so make sure to take time and stop at Origin. The Roundhouse probably has one of the best views in Cape Town. It overlooks the twelve apostles mountains. We were skeptical about this place of some mixed reviews, but we were delighted when we went for brunch on the weekend, as they had live music and great food options. Benedict was delicious. What can I say about Scheckter’s RAW Gourmet Health Food? This is a serene space serving uncompromisingly honest, beautiful and innovative healing food made with love. Awesome vegan spot, perfect for lunch or to order on Uber Eats. The chickpea curry wrap or the vegan falafel wrap will intensify your curiosity in a plant-based menu and the BVB (Best Vegan Burger) is the one that will convert you. The pumpkin pancakes are awesome too, who would have thought. Jarryd’s Espresso Bar and Eatery is a great place for breakfast or lunch. Really cool hipster vibe here, but all are welcome. They are wholly committed to sourcing and supporting locally produced and seasonal food, and focuse on highlighting the beautiful nature of each and every single ingredient they serve. And last, but definitely not least – Espresso Lab, a specialty coffee roastery based at The Old Biscuit Mill. If you traveled all the way to Africa, you should get a proper coffee there. The baristas are more than just friendly, they are happy to offer you coffee experience on a whole new level - they make it floral, complex and completely enjoyable. The Old Mill is a cool place to check out on the weekend when they have a food market. These are our absolute favourites, places where we go to more than once. Reminder, book a table ahead of time or call in to see if they have last minute availability. Some are walk-in only which is great if you didn’t book. This is probably Alex’s favorite restaurant in the world and it’s also the greatest deal in the world for a set menu for lunch or dinner. We recommend coming for lunch as you can enjoy the beautiful views and delicious gourmet food. This place is a must book weeks in advance or you can try your luck calling at 9-10 am the day of to see if they will open their terrace which can only booked the day of. A little more about this place, Beau Constantia is a 22 hectare boutique wine farm at the top of Constantia Nek. At Chef’s Warehouse at Beau Constantia, they have seasonal and produce-driven menu that changes regularly, with their signature experience being tapas for 2. Situated at the top of the Constantia Valley, you will enjoy one of the best views in Cape Town. Once again, this restaurant is perfect for lunch (their lunch service is from 12.00 until 14.00), so make sure to book a table in advance. This is Alex’s highlight every time we come to Cape Town. Another one of favorite places in the world and the reason why Cape Town is so magical. It’s about 50-60 minutes by car from Cape Town. Babylonstoren is one of the oldest Cape Dutch farms and it has a fruit and vegetable garden of beauty and diversity, unique accommodation, fine food and wine, and a sense of well-being. Make sure to plan a day trip to Babylonstoren Winery, spend half a day there first for lunch, and then enjoy walking around the breathtaking gardens and having a coffee or ice-cream at the cafe. Babel is a must book weeks or months in advance. Sometimes you can get lucky with last minute bookings but better not test your luck as this place is amazing. We definitely recommend to stop by at The Foodbarn Restaurant in Nordhooek Farm Village after an epic drive on Chapmans Peak for sunset. They serve the food that their Chef Franck Dangereux is famous for – delicious and decadent ‘casual fine-dining’ in a very relaxed and picturesque old barn. This restaurant, with its ever changing interior space and whimsical displays of fresh flowers and object trofée, is a small oasis in the heart of Cape Town .Make sure to try their freshly made jewel coloured juices, paradisal cocktails or their custom blended coffee and order from their all day menu. At Hemelhuijs, you can remember the flavours of childhood memories, mixed with the exotic touch. Very special place for breakfast and lunch. Their Tapas for two set menu is extremely good. Dishes change every day, so be prepared to see different, delicious options every day. Due to the relaxed canteen style, they don’t take bookings. We recommend coming at 12-12:30 pm if you want to snag a spot on their high tables outside. This place offers thoughtful and delicious tasting menu showcasing the delights of South African ingredients and producers. Charming and wonderful flavour combinations. Fine dining. A casual place with best authentic taco experience and lots of vegan options, perfect for lunch or dinner. Whenever we need our Indian food fix, we come here. It’s from the same family of restaurants as Chef’s Warehouse and offers variations of spectacular and modern Indian cuisine. Our casual go to place for meals at all times of the day. Think of it as the Soho House of Cape Town. The venue is everything for every occasion – live jazz over Sunday lunch, romantic candle lit dinners in our dining rooms or cocktails under the trees in their garden. A more upscale establishment with very refined food. A reservation is highly recommended even weeks in advance sometimes. Great for lunch and dinner. Considered one of the coolest places in Cape Town and its success is based on innovative cuisine, served in a relaxed yet edgy environment in a part of Cape Town. Great for lunch or dinner. Reservations highly recommended. A great casual restaurant with delicious food. Famous for seasonal ingredients and blackboard specials at modern Cape restaurant. We haven’t been here but it’s a highly recommended restaurant by our friends and on other guides we have researched due to the tie-to-toe philosophy. Fine dining restaurant with innovative and contemporary cuisine. Overpriced in my opinion, but definitely an experience if you can, first of all, get a table, and, second of all, spend $300-500 for a dinner for two. Reservations required months in advance. We didn’t get a chance to drive out here yet ,but it’s on our list. Gorgeously appointed in a glass promontory, the restaurant extends from the chic wine tasting lounge and gravitational cellar, offering fine French dining with amazing views. Mentioned before… But once again, this is definitely one of our favourite places in Cape Town and we make sure to visit every time we fly in. Every aspect of Babylonstoren – including the contemporary Farm Hotel & Spa, the Farm Shop and Restaurants – is led by the ever-changing tapestry and botanical diversity of the majestic garden. Another highly recommended destinations that we haven’t ventured to but is on our list is one of the premier locations for visitors seeking a sophisticated South African winelands lifestyle experience. Breathtakingly beautiful land consolidating twenty historical farms into a diverse property of 1800 hectares. Location, sheer size and history make exploring Boschendal compelling. Boulders Beach in the Table Mountain National Park is a must place to go. No visit to Cape Town is complete without a chance to meet this famous colony of African Penguins. Best weather with least rain is from October until March. The breeding season is from February until August, it peaks from March to May, when you will have the chance to see more penguins than at other times. Make sure to also check when the tide times are on this beach as when the tide is high you won’t be able to walk on the beach and come close to penguins. Check this website for tide conditions. If you visit Penguins, you can have lunch or dinner at either Foodbarn Noordhoek (Village Ln) or Harbour House (Main Rd) in Kalk Bay. 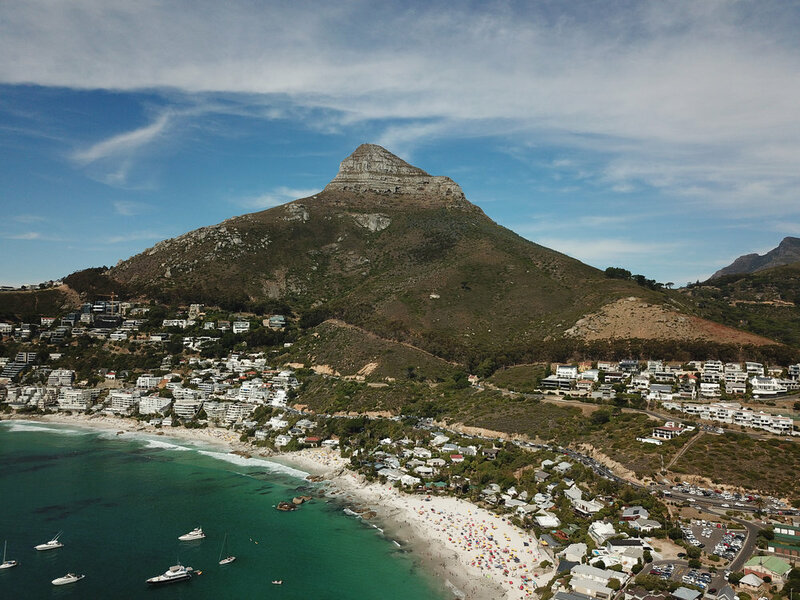 We highly recommend explore the Cape Peninsula from the air. Choose one of the NAC Helicopter tours to see the coast. Not much to say – just epic, worth the splurge. Visit Franschoek town, see wineries and stop by at Le coin Francais Restaurant (17 Huguenot Rd) or Foliage (11 Huguenot Rd) for lunch. Now that we travel with Alexa, a great grocery store is an essential for us on any trip. But as we are in Cape Town, Farmer Markets are the best option to stop by and choose from natural and fresh producers. We highly recommend The Oranjezicht City Farm Market (Granger Bay Blvd) and The Old Biscuit Mill (375 Albert Rd). These are one of the great botanic gardens of the world I guess. Few gardens can match the sheer grandeur of the setting of Kirstenbosch, against the eastern slopes of Cape Town’s Table Mountain. This is the largest bird park in Africa and one of the few large bird parks in the world. Over 3000 birds and small animals of 400 different species are presented in more than 100 spacious landscaped walk through aviaries, allowing your kids experiment the most intimate closeness with nature. Another lovely spot for kids. Focusing on African wildlife, the Giraffe House aims to provide a place for children and adults to enjoy the outdoors, whilst experiencing and learning about animals and why they are special. An important member of their team is Gerry, hand reared giraffe. Visiting the Noordhoek Farm Village is like seeing an old friend. It is easy, relaxed, comfortable and very welcoming. Kids will love the playground. You can experience a piece of Africa on the West Coast. Although it is not a real safari – more like a big zoo –, this nature reserve is probably the closest place to see wildlife from Cape Town (about an hour drive). With different game drive packages available, guests are sure to find one to suit their specific needs. Feeding of carnivores are Mondays – Saturdays and forms part of the afternoon full guided game drives. With more than 250 interactive exhibits and mind-boggling puzzles, the Cape Town Science Centre is a small world of discovery under one roof. The Iziko Planetarium and Digital Dome is the most advanced digital planetarium on the African continent. They make virtual voyages of the universe possible, providing an unparalleled experience of animation and 360º cinema.You can also explore the inner workings of the human body or the intricacies of an atomic structure. This museum tends to collect, research and exhibit twenty-first century art from Africa and its Diaspora. Very good venue to get to know the culture. And here are all the vlogs from our amazing trips to Cape Town, because there is no better way to understand how extremely beautiful and unique this place is than just to see it. Hello my beautiful friends! This video is very special to me - we get back to one of my favourite places in the world, Cape Town, and couldn’t be more grateful. Although our trip didn’t quite unfold as we thought it would (Alexa was down with some virus and very high fever most of the trip, so we were home taking care of he ), we were all so happy and grateful to see Alexa recover the last few days of the trip. Anyone who is a parent will relate to this video on a whole different level. In life we can’t control what happens to us, but we can always control our attitude and reaction to what happens. Also, finding something to be grateful for in every situation can always get you out of any dark hole. Seeing Alexa being again her happy self and even running on the beach the last day of our trip (which was my dream to see) reminded me that these are little things that we must appreciate and remind ourselves to be grateful for on a daily basis.